told me she wanted to put my card as the focal point on the Cover of this Month’s release! Thanks Stephanie! YOU ARE TRULY the BEST!!! Here is another photo of my card and pizza box that I made to go along with this release. This month’s magazine is loaded with great FALL ideas along with loads of Inspiration from all of our contributors! I also have a quick tutorial in the magazine of how to make a basic pizza box for an occasion! 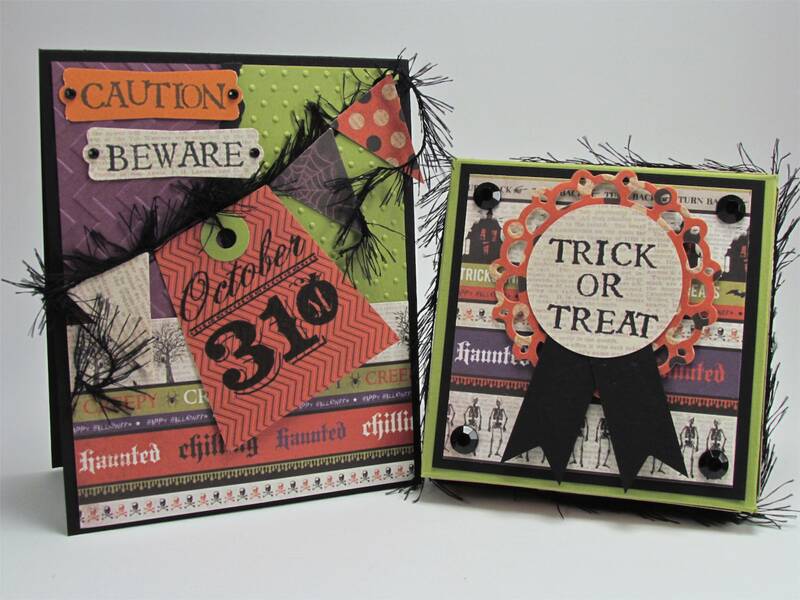 Here is a link that will take you to the Die Cut Crazy Blog where you can get all the details. a minimum cost. If you don’t have an iphone or iPad we also have it in PDF form. Thanks for everything Stephanie Shock! And thanks my blogging friends for letting me share my JOY with you! 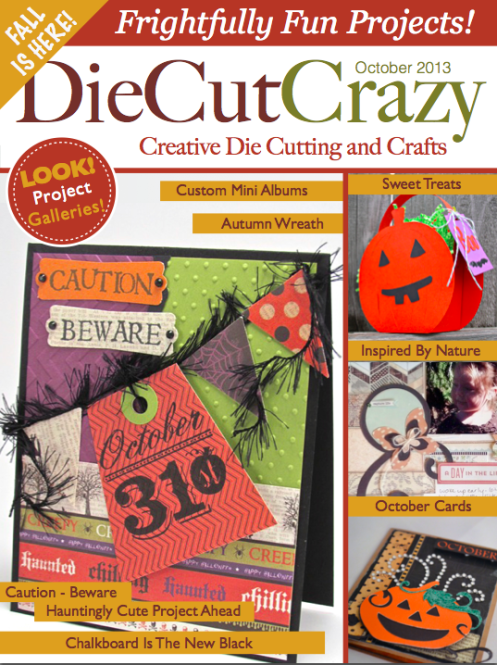 Categories: Die Cut Crazy Magazine | Tags: Card making, Cards, cuttlebug, Die Cut Crazy Magazine, gift box, Halloween, halloween cards, Pizza box, rubber stamps | Permalink. Hey COVER GIRL! I would be pinching myself, too! LOVE LOVE LOVE your card And the pizza box! Both so spooky FAB! Your to funny….Enjoy your weekend!!!! Your up early!!!! This is so cute! Your talent is never-ending! I don’t know how you do all the things you do…… Congratulations on being the COVER GIRL this month! Congratulations Cover Girl!! Very well deserved!! Both your projects are Spooky Cute!! Wow, congratulations. Like Sue said, I would be pinching myself too. Love your card and the pizza box is adorable. Whoot, whoot, you’re a Cover Girl now 🙂 A huge congrats!! Thanks Marisa….your to good to me!